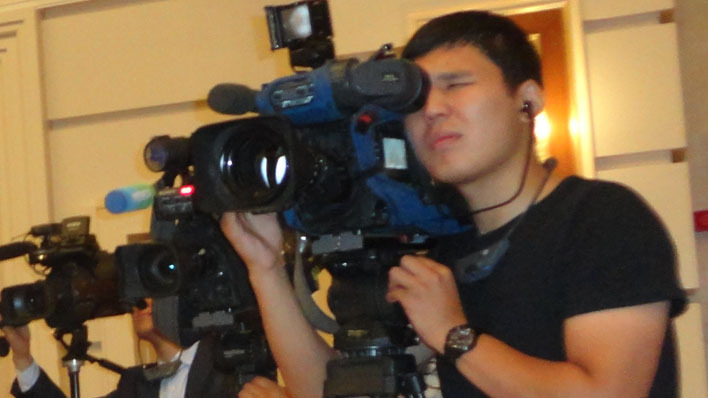 Within the framework of UNESCO’s IPDC project “Media and Good Governance in Central Asia”, Asia-Pacific Institute for Broadcasting Development (AIBD) is organizing two five-day workshops for 40 Central Asian Television journalists from national broadcasting organizations of Kazakhstan, Kyrgyzstan, Tajikistan. The workshops take place from 31 October to 4 November 2011 in Almaty and from 7 to 11 November 2011 in Dushanbe. This trainings contribute to UN development assistance framework (UNDAF) in Central Asian countries in the field of Effective Governance, where information professionals, including media, have increased capacity for improved access to information, dialogue and collaboration in policy-making, using new tools and approaches. Participants identified stories, developed scripts and produced 3 television items. Following TV items produced by trainees from Kazakhstan and Kyrgyzstan 3-4 November 2011. Purpoce: to Initiate Discussion on the Subject of Media and Good Governance taking into consideration specific concerns of focus groups: disabled children, labour migrants and families involved in or affected by drugs.